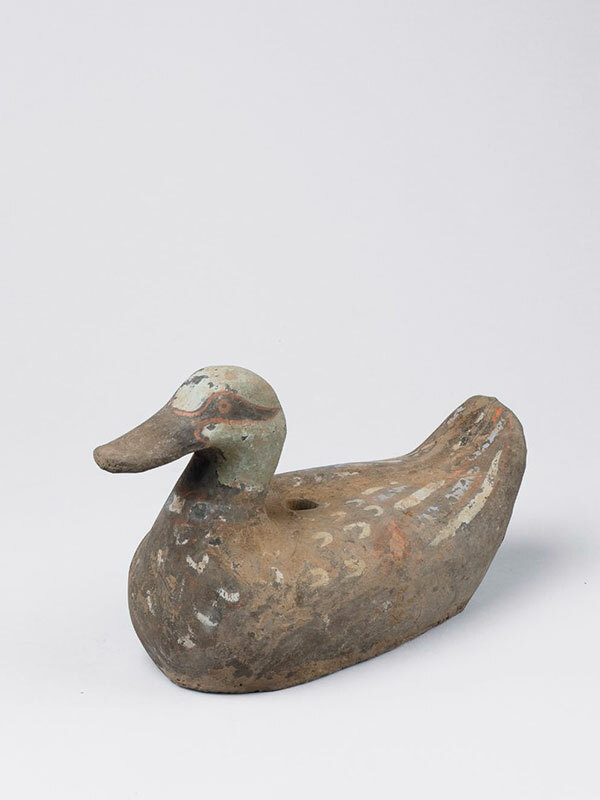 A pottery model of a duck, naturalistically depicted facing forward. The bird has a flat black beak and stylistically painted eyes that are outlined in red against a white background. The body is decorated in detail with feathers in white, red and light purple colours. In the middle of the back a hole is drilled for firing purposes. The body and the base show some remains of burial earth.